I just added two more images to the Trombone History Timeline (20th century). 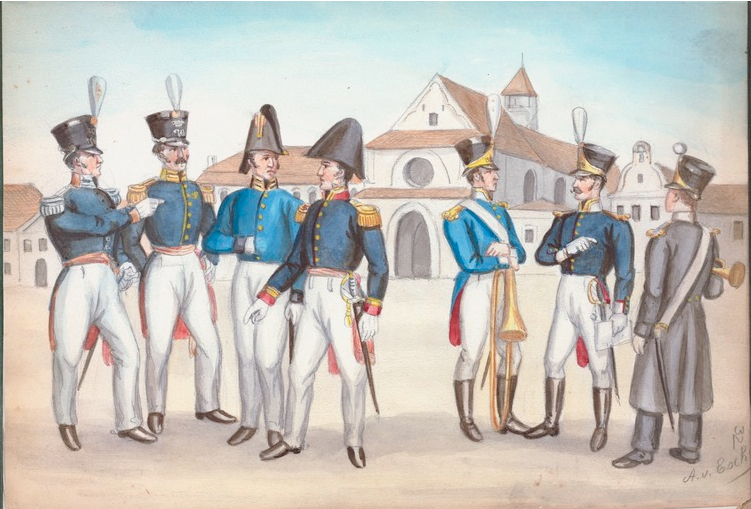 Both are military watercolors by Albert Escher (1833-1905), depicting soldiers of an earlier era. Notice that the trombone player is almost identical (including his instrument) in the two paintings, the differences being the uniforms and, of course, the facial hair. c. 1901—A watercolor signed by Albert Escher (1833-1905) depicts a group of Dutch soldiers, including a military trombonist. The title is Netherlands, 1821 (see below image; public domain) (New York Public Library Digital Gallery). c. 1901—A watercolor signed by Albert Escher (1833-1905) depicts a group of Italian soldiers, including a military trombonist. 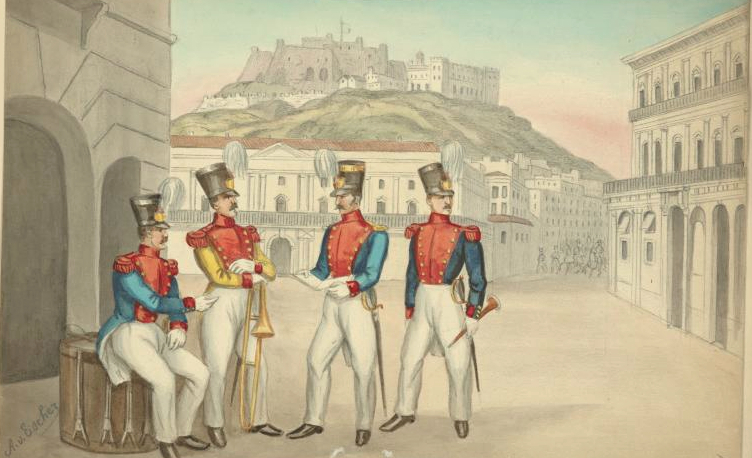 The title is Italy: Kingdom of the Two Sicilies, 1824-1828 (see below image; public domain) (New York Public Library Digital Gallery).